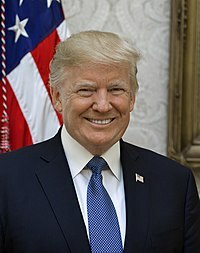 The President of the United States (informally referred to as "POTUS")[note 1] is the head of state and head of government of the United States. The president directs the executive branch of the federal government and is the commander-in-chief of the United States Armed Forces. The President is considered to be one of the world's most powerful political figures, as the leader of the only contemporary global superpower. The role includes being the commander-in-chief of the world's most expensive military with the second largest nuclear arsenal and leading the nation with the largest economy by nominal GDP. The office of President holds significant hard and soft power both in the United States and abroad. Article II of the U.S. Constitution vests the executive power of the United States in the president. The power includes execution of federal law, alongside the responsibility of appointing federal executive, diplomatic, regulatory and judicial officers, and concluding treaties with foreign powers with the advice and consent of the Senate. The president is further empowered to grant federal pardons and reprieves, and to convene and adjourn either or both houses of Congress under extraordinary circumstances. The president is largely responsible for dictating the legislative agenda of the party to which the president is a member. The president also directs the foreign and domestic policy of the United States. Since the office of President was established in 1789, its power has grown substantially, as has the power of the federal government as a whole. The Twenty-second Amendment (adopted in 1951) prohibits anyone from being elected president for a third term. It also prohibits a person from being elected to the presidency more than once if that person previously had served as president, or acting president, for more than two years of another person's term as president. In all, 44 individuals have served 45 presidencies (counting Grover Cleveland's two non-consecutive terms separately) spanning 57 full four-year terms. On January 20, 2017, Donald Trump was sworn in as the 45th and current president. President Ronald Reagan signing the Martin Luther King bill in 1983. In 1996, Congress attempted to enhance the president's veto power with the Line Item Veto Act. The legislation empowered the president to sign any spending bill into law while simultaneously striking certain spending items within the bill, particularly any new spending, any amount of discretionary spending, or any new limited tax benefit. Congress could then repass that particular item. If the president then vetoed the new legislation, Congress could override the veto by its ordinary means, a two-thirds vote in both houses. In Clinton v. City of New York, 524 United States Reports 417 (1998), the U.S. Supreme Court ruled such a legislative alteration of the veto power to be unconstitutional. The president also has the power to nominate federal judges, including members of the United States courts of appeals and the Supreme Court of the United States. However, these nominations require Senate confirmation. Securing Senate approval can provide a major obstacle for presidents who wish to orient the federal judiciary toward a particular ideological stance. When nominating judges to U.S. district courts, presidents often respect the long-standing tradition of senatorial courtesy. Presidents may also grant pardons and reprieves (Bill Clinton pardoned Patty Hearst on his last day in office), as is often done just before the end of a presidential term, but not without controversy. Historically, two doctrines concerning executive power have developed that enable the president to exercise executive power with a degree of autonomy. The first is executive privilege, which allows the president to withhold from disclosure any communications made directly to the president in the performance of executive duties. George Washington first claimed privilege when Congress requested to see Chief Justice John Jay's notes from an unpopular treaty negotiation with Great Britain. While not enshrined in the Constitution, or any other law, Washington's action created the precedent for the privilege. When Richard Nixon tried to use executive privilege as a reason for not turning over subpoenaed evidence to Congress during the Watergate scandal, the Supreme Court ruled in United States v. Nixon, 418 United States Reports 683 (1974), that executive privilege did not apply in cases where a president was attempting to avoid criminal prosecution. When President Bill Clinton attempted to use executive privilege regarding the Lewinsky scandal, the Supreme Court ruled in Clinton v. Jones, 520 United States Reports 681 (1997), that the privilege also could not be used in civil suits. These cases established the legal precedent that executive privilege is valid, although the exact extent of the privilege has yet to be clearly defined. Additionally, federal courts have allowed this privilege to radiate outward and protect other executive branch employees, but have weakened that protection for those executive branch communications that do not involve the president. The state secrets privilege allows the president and the executive branch to withhold information or documents from discovery in legal proceedings if such release would harm national security. Precedent for the privilege arose early in the 19th century when Thomas Jefferson refused to release military documents in the treason trial of Aaron Burr and again in Totten v. United States 92 United States Reports 105 (1876), when the Supreme Court dismissed a case brought by a former Union spy. However, the privilege was not formally recognized by the U.S. Supreme Court until United States v. Reynolds 345 United States Reports 1 (1953), where it was held to be a common law evidentiary privilege. Before the September 11 attacks, use of the privilege had been rare, but increasing in frequency. Since 2001, the government has asserted the privilege in more cases and at earlier stages of the litigation, thus in some instances causing dismissal of the suits before reaching the merits of the claims, as in the Ninth Circuit's ruling in Mohamed v. Jeppesen Dataplan, Inc. Critics of the privilege claim its use has become a tool for the government to cover up illegal or embarrassing government actions. In the 20th century critics began charging that too many legislative and budgetary powers have slid into the hands of presidents that should belong to Congress. As the head of the executive branch, presidents control a vast array of agencies that can issue regulations with little oversight from Congress. One critic charged that presidents could appoint a "virtual army of 'czars' – each wholly unaccountable to Congress yet tasked with spearheading major policy efforts for the White House". Presidents have been criticized for making signing statements when signing congressional legislation about how they understand a bill or plan to execute it. This practice has been criticized by the American Bar Association as unconstitutional. Conservative commentator George Will wrote of an "increasingly swollen executive branch" and "the eclipse of Congress". Most of the nation's Founding Fathers expected the Congress, which was the first branch of government described in the Constitution, to be the dominant branch of government; they did not expect a strong executive. However, presidential power has shifted over time, which has resulted in claims that the modern presidency has become too powerful, unchecked, unbalanced, and "monarchist" in nature. Critic Dana D. Nelson believes presidents over the past thirty years have worked towards "undivided presidential control of the executive branch and its agencies". She criticizes proponents of the unitary executive for expanding "the many existing uncheckable executive powers – such as executive orders, decrees, memorandums, proclamations, national security directives and legislative signing statements – that already allow presidents to enact a good deal of foreign and domestic policy without aid, interference or consent from Congress". Activist Bill Wilson opined that the expanded presidency was "the greatest threat ever to individual freedom and democratic rule". Map of the United States showing the number of electoral votes allocated following the 2010 census to each state for the 2012, 2016 and 2020 presidential elections; it also notes that Maine and Nebraska distribute electoral by way of the Congressional District Method. 270 electoral votes are required for a majority out of 538 votes possible. Franklin D. Roosevelt was elected to four terms before the adoption of the Twenty-second Amendment in 1951. The term of office for president and vice president is four years. George Washington, the first president, set an unofficial precedent of serving only two terms. Before Franklin D. Roosevelt, Ulysses S. Grant and Theodore Roosevelt each unsuccessfully sought a third term. 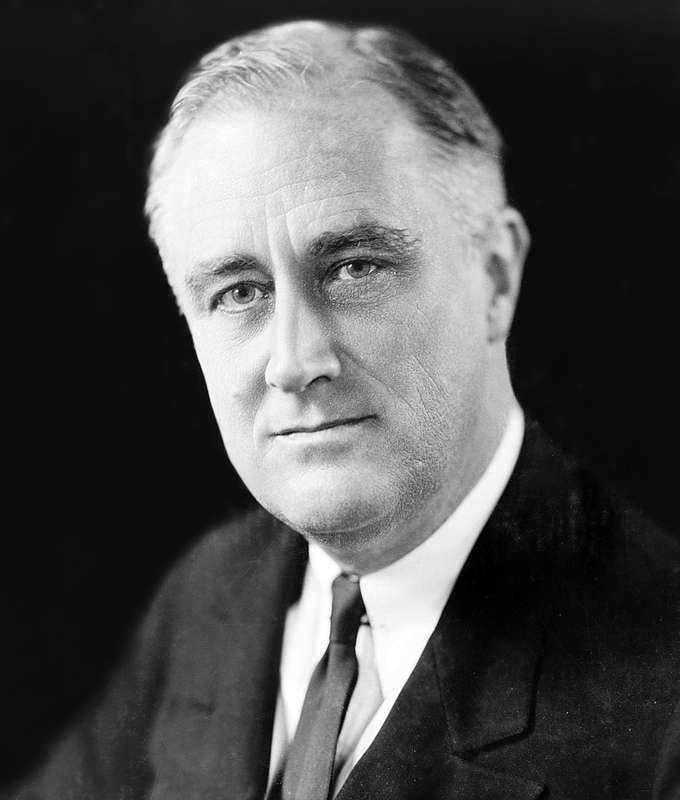 In 1940, Franklin D. Roosevelt was elected to a third term after being "drafted" by his party. In 1941, the United States entered World War II, leading voters to elect Roosevelt to a fourth term in 1944. Roosevelt died on April 12, 1945, 82 days into his fourth term. Since the amendment's adoption, five presidents have served two full terms: Dwight D. Eisenhower, Ronald Reagan, Bill Clinton, George W. Bush and Barack Obama. Jimmy Carter and George H. W. Bush sought a second term, but were defeated. Richard Nixon was elected to a second term, but resigned before completing it. Lyndon B. Johnson was the only president under the amendment to be eligible to serve more than two terms in total, having served for only fourteen months following John F. Kennedy's assassination. However, Johnson withdrew from the 1968 Democratic Primary, surprising many Americans. Gerald Ford sought a full term, after serving out the last two years and five months of Nixon's second term, but was not elected. Section 1 of the Twenty-fifth Amendment states that the vice president becomes president upon the removal from office, death or resignation of the preceding president. The Presidential Succession Act of 1947 provides that if the offices of President and Vice President are each either vacant or are held by a disabled person, the next officer in the presidential line of succession, the Speaker of the House, becomes acting president. The line then extends to the President pro tempore of the Senate, followed by every member of the Cabinet. These persons must fulfill all eligibility requirements of the office of President to be eligible to become acting president; ineligible individuals are skipped. ↑ The nine vice presidents who succeeded to the presidency upon their predecessor's death or resignation and finished-out that unexpired term are: John Tyler (1841); Millard Fillmore (1850); Andrew Johnson (1865); Chester A. Arthur (1881); Theodore Roosevelt (1901); Calvin Coolidge (1923); Harry S. Truman (1945); Lyndon B. Johnson (1963); and Gerald Ford (1974), Ford had also not been elected vice president. ↑ Safire, William (October 12, 1997). "On language: POTUS and FLOTUS". The New York Times. New York. https://www.nytimes.com/1997/10/12/magazine/on-language-potus-and-flotus.html?pagewanted=all&src=pm. Retrieved May 11, 2014. ↑ "The Most Powerful Man in the World is a Black Man – The Los Angeles Sentinel". Lasentinel.net. http://www.lasentinel.net/The-Most-Powerful-Man-in-the-World-is-a-Black-Man.html. Retrieved September 4, 2010. ↑ "Who should be the world's most powerful person?". The Guardian. London. January 3, 2008. https://www.theguardian.com/commentisfree/2008/jan/03/uselections2008.world. ↑ Meacham, Jon (December 20, 2008). "Meacham: The History of Power". Newsweek. http://www.newsweek.com/2008/12/19/the-story-of-power.html. Retrieved September 4, 2010. ↑ Zakaria, Fareed (December 20, 2008). "The NEWSWEEK 50: Barack Obama". Newsweek. http://www.newsweek.com/2008/12/19/1-barack-obama.html. Retrieved September 4, 2010. ↑ "Transcript of the Constitution of the United States – Official". Archives.gov. http://www.archives.gov/exhibits/charters/constitution_transcript.html. Retrieved September 4, 2010. ↑ Pfiffner, J. P. (1988). "The President's Legislative Agenda". pp. 22–35. Digital object identifier:10.1177/0002716288499001002. ↑ The Influence of State Politics in Expanding Federal Power,' Henry Jones Ford, Proceedings of the American Political Science Association, Vol. 5, Fifth Annual Meeting (1908). Retrieved March 17, 2010. ↑ "Executive Branch". obamawhitehouse.archives.gov. https://obamawhitehouse.archives.gov/1600/executive-branch. , The White House. ↑ "Executive Branch". obamawhitehouse.archives.gov. https://obamawhitehouse.archives.gov/1600/executive-branch. . Grover Cleveland served two non-consecutive terms, so he is counted twice; as the 22nd and 24th presidents. ↑ 11.0 11.1 11.2 11.3 11.4 11.5 11.6 Milkis, Sidney M.; Nelson, Michael (2008). The American Presidency: Origins and Development (5th ed.). Washington, D.C.: CQ Press. pp. 1–25. ISBN 0-87289-336-7. ↑ 12.0 12.1 12.2 Kelly, Alfred H.; Harbison, Winfred A.; Belz, Herman (1991). The American Constitution: Its Origins and Development. I (7th ed.). New York: W.W. Norton & Co.. pp. 76–81. ISBN 0-393-96056-0. ↑ Beeman, Richard (2009). Plain, Honest Men: The Making of the American Constitution. New York: Random House. ISBN 0-8129-7684-3. ↑ Joint Chiefs of Staff. About the Joint Chiefs of Staff[dead link]. Retrieved February 25, 2013. ↑ Christopher, James A.; Baker, III (July 8, 2008). "The National War Powers Commission Report" (PDF). The Miller Center of Public Affairs at the University of Virginia. http://millercenter.org/policy/commissions/warpowers/report. Retrieved December 15, 2010. "No clear mechanism or requirement exists today for the president and Congress to consult. The War Powers Resolution of 1973 contains only vague consultation requirements. Instead, it relies on reporting requirements that, if triggered, begin the clock running for Congress to approve the particular armed conflict. By the terms of the 1973 Resolution, however, Congress need not act to disapprove the conflict; the cessation of all hostilities is required in 60 to 90 days merely if Congress fails to act. Many have criticized this aspect of the Resolution as unwise and unconstitutional, and no president in the past 35 years has filed a report "pursuant" to these triggering provisions." ↑ 19.0 19.1 19.2 19.3 "The Law: The President's War Powers". Time. June 1, 1970. http://www.time.com/time/magazine/article/0,9171,878290,00.html. Retrieved September 28, 2009. ↑ Mitchell, Alison (May 2, 1999). "The World; Only Congress Can Declare War. Really. It's True". The New York Times. https://www.nytimes.com/1999/05/02/weekinreview/the-world-only-congress-can-declare-war-really-it-s-true.html. Retrieved November 8, 2009. "Presidents have sent forces abroad more than 100 times; Congress has declared war only five times: the War of 1812, the Mexican War, the Spanish-American War, World War I and World War II." ↑ Mitchell, Alison (May 2, 1999). "The World; Only Congress Can Declare War. Really. It's True". The New York Times. https://www.nytimes.com/1999/05/02/weekinreview/the-world-only-congress-can-declare-war-really-it-s-true.html. Retrieved November 8, 2009. "President Reagan told Congress of the invasion of Grenada two hours after he had ordered the landing. He told Congressional leaders of the bombing of Libya while the aircraft were on their way." ↑ Gordon, Michael R. (December 20, 1990). "U.S. troops move in panama in effort to seize noriega; gunfire is heard in capital". The New York Times. https://www.nytimes.com/learning/general/onthisday/big/1220.html#article. Retrieved November 8, 2009. "It was not clear whether the White House consulted with Congressional leaders about the military action, or notified them in advance. Thomas S. Foley, the Speaker of the House, said on Tuesday night that he had not been alerted by the Administration." ↑ "Article II, Section 3, U.S. Constitution". law.cornell.edu. Legal Information Institute. 2012. http://www.law.cornell.edu/constitution/articleii#section3. Retrieved August 7, 2012. ↑ "The Executive Branch". The White House website. obamawhitehouse.archives.gov. https://obamawhitehouse.archives.gov/1600/executive-branch. Retrieved February 5, 2010. ↑ National Labor Relations Board v. Noel Canning, 572 U.S. __ (2014). ↑ Shurtleff v. United States, 189 United States Reports 311 (1903); Myers v. United States, 272 United States Reports 52 (1926). ↑ Humphrey's Executor v. United States, 295 United States Reports 602 (1935) and Morrison v. Olson, 487 United States Reports 654 (1988), respectively. ↑ Johnston, David (December 24, 1992). "Bush Pardons 6 in Iran Affair, Aborting a Weinberger Trial; Prosecutor Assails 'Cover-Up'". The New York Times. https://www.nytimes.com/learning/general/onthisday/big/1224.html. Retrieved November 8, 2009. "But not since President Gerald R. Ford granted clemency to former President Richard M. Nixon for possible crimes in Watergate has a Presidential pardon so pointedly raised the issue of whether the President was trying to shield officials for political purposes." ↑ Johnston, David (December 24, 1992). "Bush Pardons 6 in Iran Affair, Aborting a Weinberger Trial; Prosecutor Assails 'Cover-Up'". The New York Times. https://www.nytimes.com/learning/general/onthisday/big/1224.html. Retrieved November 8, 2009. "The prosecutor charged that Mr. Weinberger's efforts to hide his notes may have 'forestalled impeachment proceedings against President Reagan' and formed part of a pattern of 'deception and obstruction.'... In light of President Bush's own misconduct, we are gravely concerned about his decision to pardon others who lied to Congress and obstructed official investigations." ↑ Eisler, Peter (March 7, 2008). "Clinton-papers release blocked". USA TODAY. http://www.usatoday.com/news/washington/2008-03-06-clinton-library-foia_N.htm. Retrieved November 8, 2009. "Former president Clinton issued 140 pardons on his last day in office, including several to controversial figures, such as commodities trader Rich, then a fugitive on tax evasion charges. Rich's ex-wife, Denise, contributed $2,000 in 1999 to Hillary Clinton's Senate campaign; $5,000 to a related political action committee; and $450,000 to a fund set up to build the Clinton library." ↑ Millhiser, Ian (June 1, 2010). "Executive Privilege 101". Center for American Progress. http://www.americanprogress.org/issues/2010/06/executive_privilege.html. Retrieved October 8, 2010. ↑ "Part III of the opinion in Mohamed v. Jeppesen Dataplan". Caselaw.findlaw.com. http://caselaw.findlaw.com/us-9th-circuit/1537579.html. Retrieved November 29, 2010. ↑ 33.0 33.1 Frost, Amanda; Florence, Justin (2009). "Reforming the State Secrets Privilege". American Constitution Society. Archived from the original on October 22, 2010. http://www.webcitation.org/5tfL6UlbV. Retrieved October 8, 2010. ↑ Weaver, William G.; Pallitto, Robert M. (2005). "State Secrets and Executive Power". The Academy of Political Science. pp. 85–112. Digital object identifier:10.1002/j.1538-165x.2005.tb00539.x. "Use of the state secrets privilege in courts has grown significantly over the last twenty-five years. In the twenty-three years between the decision in Reynolds  and the election of Jimmy Carter, in 1976, there were four reported cases in which the government invoked the privilege. Between 1977 and 2001, there were a total of fifty-one reported cases in which courts ruled on invocation of the privilege. Because reported cases only represent a fraction of the total cases in which the privilege is invoked or implicated, it is unclear precisely how dramatically the use of the privilege has grown. But the increase in reported cases is indicative of greater willingness to assert the privilege than in the past." ↑ Savage, Charlie (September 8, 2010). "Court Dismisses a Case Asserting Torture by C.I.A". The New York Times. https://www.nytimes.com/2010/09/09/us/09secrets.html. Retrieved October 8, 2010. ↑ Finn, Peter (September 9, 2010). "Suit dismissed against firm in CIA rendition case". The Washington Post. http://www.washingtonpost.com/wp-dyn/content/article/2010/09/08/AR2010090807334.html. Retrieved October 8, 2010. ↑ Greenwald, Glenn (February 10, 2009). "The 180-degree reversal of Obama's State Secrets position". Salon. http://www.salon.com/news/opinion/glenn_greenwald/2009/02/10/obama. Retrieved October 8, 2010. ↑ "Background on the State Secrets Privilege". American Civil Liberties Union. January 31, 2007. https://www.aclu.org/national-security/background-state-secrets-privilege. Retrieved October 8, 2010. ↑ Cantor, Eric (July 30, 2009). "Obama's 32 Czars". The Washington Post. http://www.washingtonpost.com/wp-dyn/content/article/2009/07/29/AR2009072902624.html. Retrieved September 28, 2009. ↑ Nelson, Dana D. (October 11, 2008). "The 'unitary executive' question". Los Angeles Times. http://www.latimes.com/news/opinion/la-oe-nelson11-2008oct11,0,224216.story. Retrieved October 4, 2009. ↑ Will, George F. (December 21, 2008). "Making Congress Moot". The Washington Post. http://www.washingtonpost.com/wp-dyn/content/article/2008/12/19/AR2008121902929.html. Retrieved September 28, 2009. ↑ Duggan, Paul (April 2, 2007). "Balking at the First Pitch". The Washington Post. p. A01. http://www.washingtonpost.com/wp-dyn/content/article/2007/04/01/AR2007040101262.html. ↑ "2007 Report to the Nation". Boy Scouts of Amercica. 2007. http://www.bsartn2007.org. Retrieved September 23, 2009. ↑ Grier, Peter (April 25, 2011). "The (not so) secret history of the White House Easter Egg Roll". http://archive.is/Fath. Retrieved 30 July 2012. ↑ Hesse, Monica (November 21, 2007). "Turkey Pardons, The Stuffing of Historic Legend". The Washington Post. http://www.washingtonpost.com/wp-dyn/content/article/2007/11/20/AR2007112002331_4.html?sub=AR&sid=ST2007112002354. Retrieved May 14, 2011. ↑ Gibbs, Nancy (November 13, 2008). "How Presidents Pass The Torch". http://www.time.com/time/magazine/article/0,9171,1858896,00.html. Retrieved May 6, 2011. ↑ Abbott, James A.; Rice, Elaine M. (1998). Designing Camelot: The Kennedy White House Restoration. Van Nostrand Reinhold. pp. 9–10. ISBN 0-442-02532-7. ↑ "The White House State Dinner". The White House Historical Association. Archived from the original on August 27, 2012. http://www.webcitation.org/6AEBbtmt2. Retrieved May 14, 2011. ↑ Dykoski, Rachel (November 1, 2008). "Book note: Presidential idolatry is "Bad for Democracy"". Twin Cities Daily Planet. http://www.tcdailyplanet.net/article/2008/10/29/book-note-presidential-idolatry-quotbad-democracyquot.html?mini=eventcalendar/2009/02/all. Retrieved November 11, 2009. "Dana D. Nelson's book makes the case that we've had 200+ years of propagandized leadership..."
↑ Neffinger, John (April 2, 2007). "Democrats vs. Science: Why We're So Damn Good at Losing Elections". The Huffington Post. http://www.huffingtonpost.com/john-neffinger/democrats-vs-science-why-_b_44733.html. Retrieved November 11, 2009. "...back in the 1980s Lesley Stahl of 60 Minutes ran a piece skewering Reagan's policies on the elderly ... But while her voiceover delivered a scathing critique, the video footage was all drawn from carefully-staged photo-ops of Reagan smiling with seniors and addressing large crowds ... Deaver thanked ... Stahl...for broadcasting all those images of Reagan looking his best." ↑ Nelson, Dana D. (2008). "Bad for democracy: how the Presidency undermines the power of the people". U of Minnesota Press. ISBN 978-0-8166-5677-6. https://books.google.com/books?id=qgAWphms5oMC&pg=PA57&lpg=PA57&dq=kennedy+image+nelson+%22bad+for+democracy%22&source=bl&ots=BQX6dXpTNw&sig=qbo2XZA-Exl28hYrX2vuwm532BI&hl=en&ei=ZMr6Spr3K8_anAfxk8X9DA&sa=X&oi=book_result&ct=result&resnum=3&ved=0CA8Q6AEwAg#v=snippet&q=kennedy&f=false. Retrieved November 11, 2009. "in rich detail how Kennedy drew on the power of myth as he framed his experience during World War II, when his PT boat was sliced in half by a Japanese..."
↑ Nelson, Dana D. (2008). "Bad for democracy: how the Presidency undermines the power of the people". U of Minnesota Press. ISBN 978-0-8166-5677-6. https://books.google.com/books?id=qgAWphms5oMC&dq=kennedy+image+nelson+%22bad+for+democracy%22&q=kennedy#v=snippet&q=kennedy&f=false. Retrieved November 11, 2009. "Even before Kennedy ran for Congress, he had become fascinated, through his Hollywood acquaintances and visits, with the idea of image... (p.54)"
↑ Lexington (July 21, 2009). "The Cult of the Presidency". The Economist. http://www.economist.com/blogs/lexington/2009/07/the_cult_of_the_presidency.cfm. Retrieved November 9, 2009. "Gene Healy argues that because voters expect the president to do everything ... When they inevitably fail to keep their promises, voters swiftly become disillusioned. Yet they never lose their romantic idea that the president should drive the economy, vanquish enemies, lead the free world, comfort tornado victims, heal the national soul and protect borrowers from hidden credit-card fees." ↑ Kakutani, Michiko (July 6, 2007). "Unchecked and Unbalanced". The New York Times. https://www.nytimes.com/2007/07/06/books/06book.html. Retrieved November 9, 2009. "the founding fathers had 'scant affection for strong executives' like England's king, and ... Bush White House's claims are rooted in ideas "about the 'divine' right of kings" ... and that certainly did not find their 'way into our founding documents, the 1776 Declaration of Independence and the Constitution of 1787.'" ↑ "The Conquest of Presidentialism". The Huffington Post. August 22, 2008. http://www.huffingtonpost.com/david-sirota/the-conquest-of-president_b_120582.html. Retrieved September 20, 2009. ↑ Schimke, David (September–October 2008). "Presidential Power to the People – Author Dana D. Nelson on why democracy demands that the next president be taken down a notch". Utne Reader. http://www.utne.com/2008-09-01/Politics/Presidential-Power-to-the-People.aspx. Retrieved September 20, 2009. ↑ Kakutani, Michiko (July 6, 2007). "Unchecked and Unbalanced". The New York Times. https://www.nytimes.com/2007/07/06/books/06book.html. Retrieved November 9, 2009. "UNCHECKED AND UNBALANCED: Presidential Power in a Time of Terror By Frederick A. O. Schwarz Jr. and Aziz Z. Huq (authors)"
↑ 61.0 61.1 Nelson, Dana D. (October 11, 2008). "Opinion–The 'unitary executive' question – What do McCain and Obama think of the concept?". Los Angeles Times. http://www.latimes.com/news/opinion/la-oe-nelson11-2008oct11,0,224216.story. Retrieved September 21, 2009. ↑ Shane, Scott (September 25, 2009). "A Critic Finds Obama Policies a Perfect Target". The New York Times. https://www.nytimes.com/2009/09/26/us/politics/26activist.html. Retrieved November 8, 2009. "There is the small, minority-owned firm with deep ties to President Obama's Chicago backers, made eligible by the Federal Reserve to handle potentially lucrative credit deals. 'I want to know how these firms are picked and who picked them,' Mr. Wilson, the group's president, tells his eager researchers." ↑ See: Peabody, Bruce G.; Gant, Scott E. (1999). "The Twice and Future President: Constitutional Interstices and the Twenty-Second Amendment". Minneapolis, MN: Minnesota Law Review. ; alternatively, see: Albert, Richard (2005). "The Evolving Vice Presidency". Philadelphia, PA: Temple University of the Commonwealth System of Higher Education. ↑ See GPO Annotated U.S. Constitution, 2002 Ed., at 611 & nn. 772–773. ↑ U.S. Const. art. II, § 1, cl. 8. ↑ "Judge doesn't ban "God" in inaugural oath". January 15, 2009. http://www.msnbc.msn.com/id/28663712/ns/politics-inauguration/t/judge-doesnt-ban-god-inaugural-oath/. Retrieved August 18, 2012. ↑ Guardian, "Bush colonoscopy leaves Cheney in charge", July 20, 2007. ↑ "U.S. Senate: Party Division". senate.gov. http://www.senate.gov/history/partydiv.htm. Retrieved January 2, 2017. ↑ Jamison, Dennis (December 31, 2014). "George Washington's views on political parties in America". The Washington Times. http://www.washingtontimes.com/news/2014/dec/31/george-washingtons-views-political-parties-america/. Retrieved July 1, 2016. ↑ Chambers, William Nisbet (1963). Political parties in a new Nation: the American experience, 1776–1809. New York: Oxford University Press. ↑ "Presidential and Vice Presidential Salaries, 1789+". University of Michigan. Archived from the original on June 6, 2011. https://web.archive.org/web/20110606213444/http://www.lib.umich.edu/node/11736/. Retrieved October 7, 2009. ↑ Relative Value in US Dollars. Measuring Worth. Retrieved May 30, 2006. ↑ "How much does the U.S. president get paid?". Howstuffworks. Retrieved July 24, 2007. ↑ Salaries of Federal Officials: A Fact Sheet. United States Senate website. Retrieved August 6, 2009. ↑ Bumiller, Elizabeth (January 2009). "Inside the Presidency". National Geographic. http://ngm.nationalgeographic.com/print/2009/01/president/bumiller-text. Retrieved June 24, 2012. ↑ New Presidential Limousine enters Secret Service Fleet[dead link] U.S. Secret Service Press Release (January 14, 2009) Retrieved on January 20, 2009. ↑ "Air Force One". whitehouse.gov/about/air-force-one/. http://archive.is/MbAa. . White House Military Office. Retrieved June 17, 2007. ↑ "Candidate Code Names Secret Service Monikers Used on the Campaign Trail". CBS. September 16, 2008. http://www.cbsnews.com/stories/2008/09/16/earlyshow/main4452073.shtml?source=RSSattr=Politics_4452073. Retrieved November 12, 2008. ↑ Schwemle, Barbara L. (October 17, 2012). "President of the United States: Compensation". Congressional Research Service. https://fas.org/sgp/crs/misc/RS20115.pdf. Retrieved January 10, 2013. ↑ "Former presidents cost U.S. taxpayers big bucks". Toledo Blade. January 7, 2007. http://www.toledoblade.com/Politics/2007/01/07/Former-presidents-cost-U-S-taxpayers-big-bucks-tab-from-1977-to-2000-is-pegged-at-370-million.html. Retrieved May 22, 2007. ↑ "Obama signs protection bill for former presidents". The Washington Times. January 10, 2013. http://www.washingtontimes.com/news/2013/jan/10/inside-politics-obama-signs-protection-bill-for-fo/?page=all. Retrieved August 14, 2013. ↑ "FOUR PRESIDENTS". Reagan Presidential Library, National Archives and Records Administration. http://www.reagan.utexas.edu/archives/photographs/four.html. Retrieved April 3, 2011. ↑ "Biography of Richard M. Nixon". obamawhitehouse.archives.gov. https://obamawhitehouse.archives.gov/1600/presidents/richardnixon. , The White House. Bumiller, Elisabeth (January 2009). "Inside the Presidency". pp. 130–149. http://ngm.nationalgeographic.com/2009/01/president/bumiller-text. Świątczak, Wasilewska, Iwona. "The Toughest Season in the White House": The Rhetorical Presidency and the State of the Union Address, 1953–1992. PhD thesis. University of Helsinki, 2014. ISBN 978-951-51-0248-5. "Executive Office of the President". http://www.whitehouse.gov/administration/eop/. Retrieved January 21, 2009.